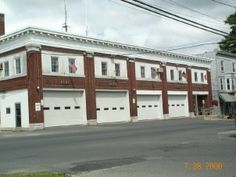 The principle mission of the Gouverneur Police Department is to preserve and protect the citizenry and the property of the residents of the Village of Gouverneur. To respond to events that threaten the public order, to deter unlawful conduct and to apprehend those persons responsible for having committed offenses against the citizenry and property of the Village of Gouverneur. The Gouverneur Police department serves 24 hours a day, 7 days a week. We serve a population of approximately 5,000 in a 3 square mile area. Curfew: There is a 10:00 PM curfew for persons less than age 16, to be in public places unaccompanied by a parent or guardian. Seaway Valley Crime Stoppers. If you know someone involved in a crime, or can provide police with information about a crime, call Seaway Valley Crime Stoppers 1-800-265-TIPS (1-800-265-8477). You will not have to reveal your identity and you could earn a cash reward. Drug Tip Line. The drug tip line is used for the public to offer information in a confidential manner. Please call 287-2121. All information is strictly confidential.